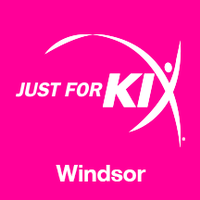 As an established youth dance studio, Just For Kix is a leader in dance instruction. We offer proven technical training, a focus on teamwork and a respectful experience to our students. With a strong balance of fun and technique in our classes, we create a teaching environment that is low stress and less pressure. Styles vary from location to location offering everything from: Kick • Jazz • Lyrical • Hip Hop • Ballet • Tap • Pom.